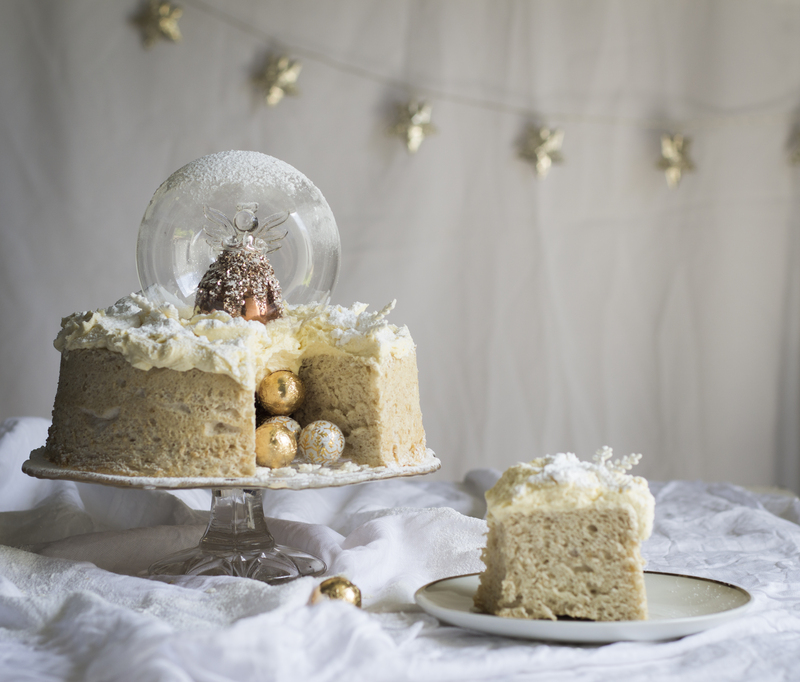 A Christmas showstopper; light eggnog sponge cakes layered with nutmeg buttercream and a white chocolate drip that makes these cakes look just like candles! 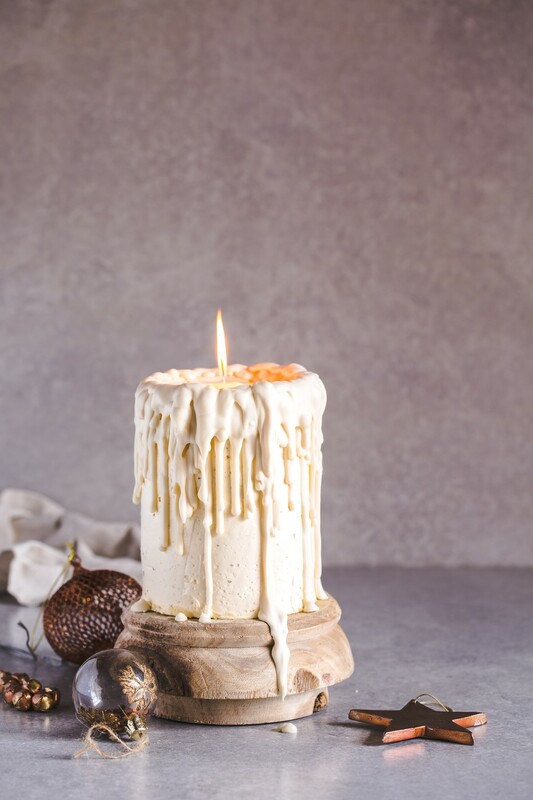 Two weeks ago I posted these white chocolate candle cakes on my Instagram page and within hours it went viral! 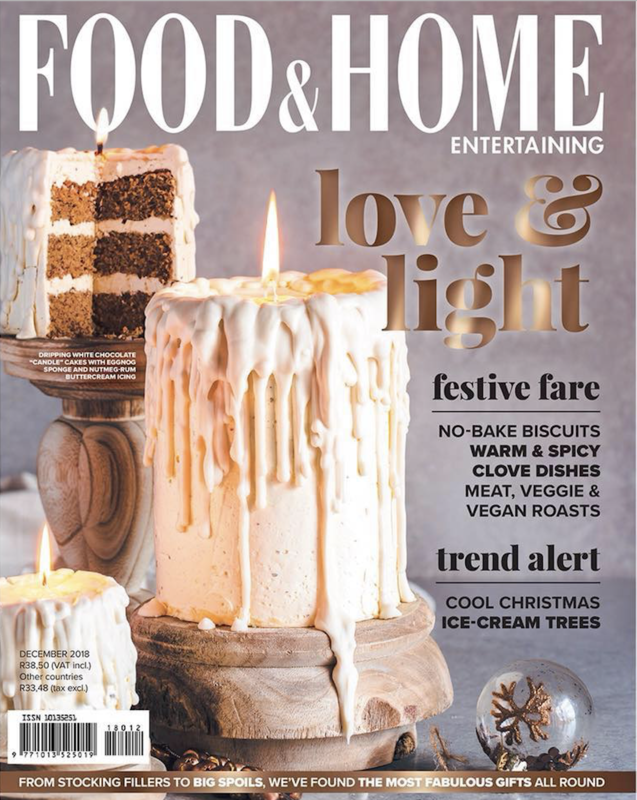 Which is not surprising because it was beautiful enough to grace the cover of the December issue of Food & Home Entertaining Magazine. It really is a beauty and I had so much fun making (and shooting) it – and I know you will too! Imagine putting this on the Christmas table as decor. 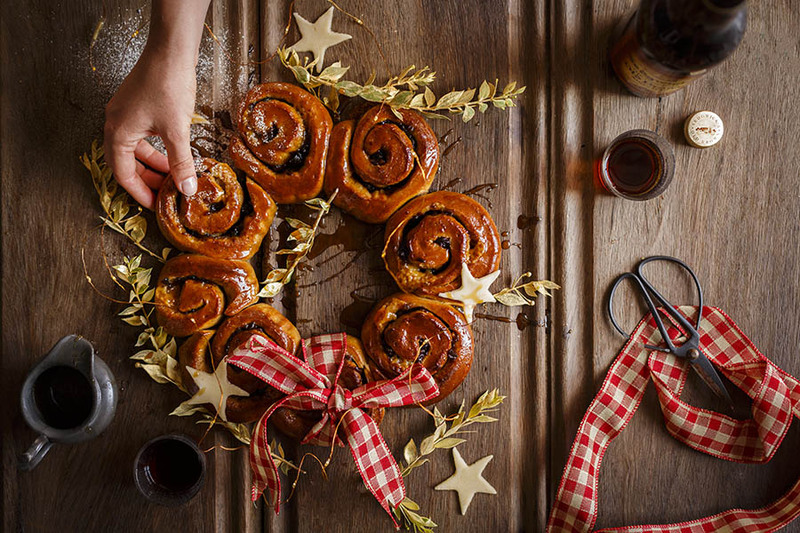 Then, when it’s time for dessert, whip out the matches, light the candle cakes and watch your guests faces as you slice the candles for pudding! I do love a dessert that doubles as a centrepiece – check out this one or this one! The sponge cake itself is super light – so take care when folding and sifting so you keep as much air as possible in it! 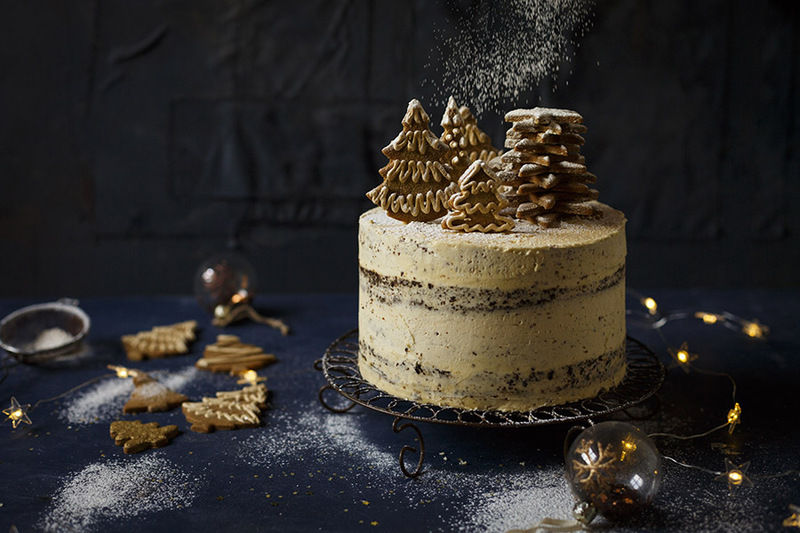 The sponge is infused with cinnamon and other spices which are echoed in the nutmeg Swiss Meringue Buttercream. If you can, try get the whole nutmeg and grate it into the buttercream. The freshly grated nutmeg really makes it. Oh, and how could I forget the rum. There’s lots of rum! It’s Christmas, afterall. If you’re wondering what cake tins I used, I opted for a 15cm (my favourite size which you can get here) for the large candle and created 4 layers to make it nice and tall. For the smaller candles, I simply used tins! The larger tin was from some canned fruit I had lying around and the smaller tin was a bog standard tin of tomatoes. 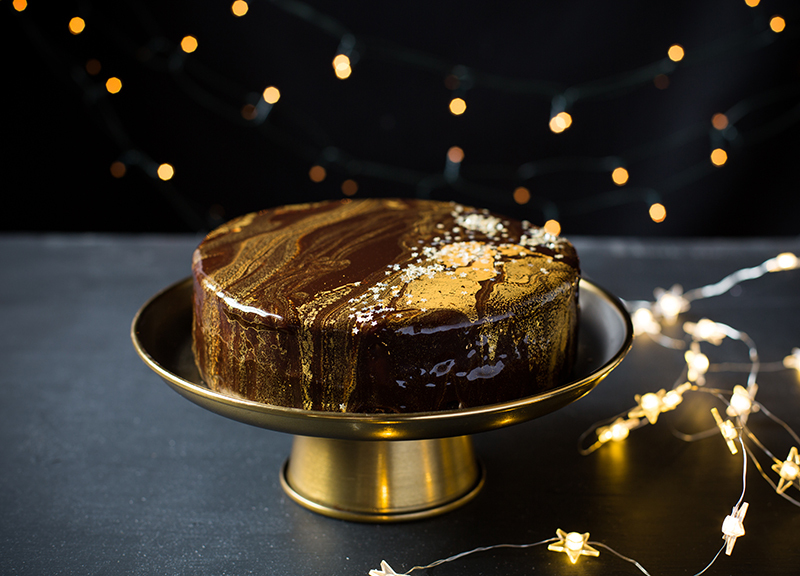 Tin cans make really great cake tins – just be sure to grease them thoroughly. So now you’ve saved the environment AND you get to eat cake. Boom! 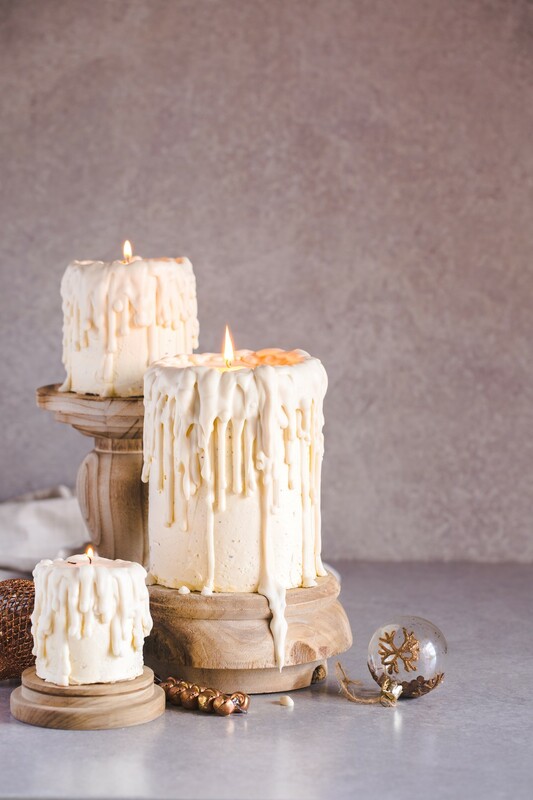 Note: this recipe makes the 3 candles above – if you want to make just one candle, half the recipe below. Preheat the oven to 180˚C. Grease and line 4 round cake tins (with a 15cm diameter and 5cm depth each), 1 x 900g tin can (with a diameter of 10cm) and 1 x 450g tin can (with a diameter of 7cm) with baking paper. Set aside until needed. Place the whole eggs, egg yolks, vanilla essence and ½ of the white sugar in a glass/metal bowl. Place the bowl over a pot of barely simmering water (do not allow the base of the bowl to touch the water). Stir constantly until the mixture reaches 48˚C on a sugar thermometer. Remove from heat and transfer the mixture to the bowl of a stand mixer fitted with a whisk attachment. Beat on high speed until the mixture thickens and reaches ribbon stage, about 1 minute. Set aside until needed. In a separate bowl, combine the ground almonds, white bread flour and ground cinnamon. Set aside. Place the 10 egg whites in the bowl of a hand-held/stand mixer. The bowl must be scrupulously clean and dry or the whites won’t reach full volume. Beat the egg whites until soft peaks form. Gradually add the remaining ½ of the white sugar, beating continuously until incorporated well. Set aside. Fold the almond mixture (from step 3) into the whipped whole-egg mixture (from step 2). Stir in the melted butter. Fold in the whipped egg whites. Divide the batter among the prepared cake tins and tin cans, filling each cake tin and tin can ¾ of the way up to allow for rising during baking. Bake in the preheated oven until a skewer inserted into the centres of each of the cakes comes out clean, about 20 – 25 minutes. Remove from oven and set aside to cool in the tins, about 5 minutes, before turning the cakes out on wire cooling racks to cool completely. For the buttercream, place the 150g egg whites and castor sugar in a glass bowl. Place the bowl over a pot of barely simmering water (do not allow the base of the bowl to touch the water). Using a whisk, gently stir the mixture until it reaches 60˚C on a sugar thermometer or until the mixture is hot to the touch. Be mindful not to aerate the mixture when stirring. Remove from heat and transfer the mixture to the bowl of a stand mixer fitted with a whisk attachment. Beat on high speed until light and fluffy, about 10 – 15 minutes. While beating, add the unsalted butter one cube at a time, beating to incorporate each addition before adding the next. Add the rum and freshly grated nutmeg. Beat until incorporated well. To assemble the cakes, start with the 4 largest sponges. Use a serrated bread knife to cut a very thin slice off the top of each cake to create a flat surface. Stack the cakes on top of one another, spreading a thick layer of the buttercream between each sponge. Use a spatula or palette knife to spread some of the buttercream over the outside of the cake. Set aside. For the 2 smaller cakes, cut the sponges into 3 equal parts and cover with buttercream as mentioned in the previous step. 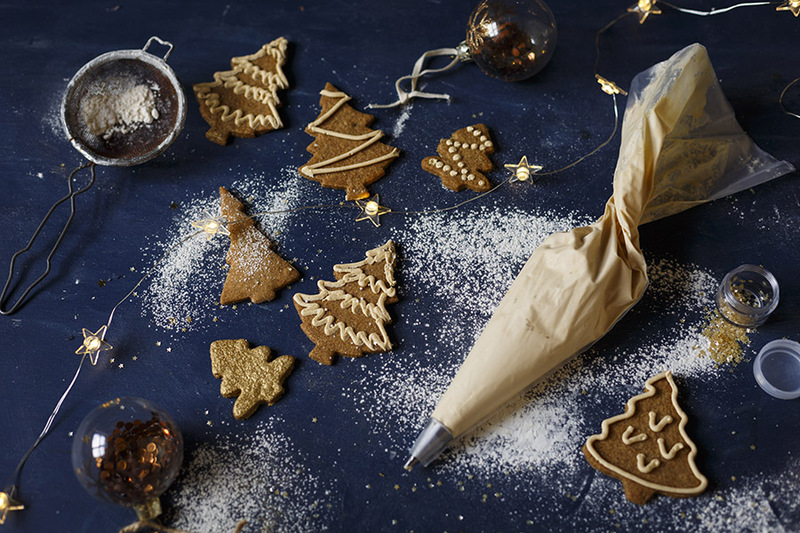 Place the melted chocolate (make sure it's not hot - room temperature is good) in a small piping bag fitted with a plain nozzle. Slowly pipe the chocolate down the sides of the cakes, creating a drip. Wait 5 minutes for the chocolate to set before piping a second layer of drip onto each cake – to speed up this process, place the cakes in the freezer for a couple of minutes between piping a new layer of chocolate. The aim is to build up the drips until you’ve created a layered effect. Carefully place each cake on a candlestick large enough to support its weight. Set aside. Using a sharp knife, trim the wax off the birthday candles to reveal the wicks, leaving about 1cm of wax intact at the bottom of each candle. 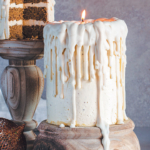 Place 1 candle on top of each cake, pressing down until the 1cm of candlewax is pushed into the sponge. Light the wicks when ready to serve. I used recycled jam tins for the smaller-sized cake moulds.